The John Simon Guggenheim Memorial Foundation has named four University faculty members 2007 Guggenheim fellows in its annual competition. This year’s Chicago winners, who were selected from among 2,800 applicants from the United States and Canada, are Shadi Bartsch, the Ann L. & Lawrence B. Buttenwieser Professor in Classics and the College, Catherine Brekus, Associate Professor in the Divinity School, Fred Donner, Professor in Near Eastern Languages & Civilizations and the College, and Bernard Wasserstein, the Harriet & Ulrich E. Meyer Professor of Modern European Jewish History in History and the College. The Chicago faculty members were chosen for past distinguished achievements and exceptional promise for future accomplishments. A Chicago faculty member since 1998, Bartsch has written several books on ancient rhetoric and culture, including The Mirror of the Self: Sexuality, Self-Knowledge, and the Gaze in the Early Roman Empire and Actors in the Audience: Theatricality and Doublespeak from Nero to Hadrian. A winner of the Llewellyn John & Harriet Manchester Quantrell Award for Excellence in Undergraduate Teaching, Bartsch currently is Chair of the Committee on the History of Culture. In her Guggenheim project, Bartsch plans to examine metaphor in a number of ways: theories of metaphor, the practice of philosophical and religious metaphor, the influence of metaphorical theory and metaphorical usage on Christian exegesis, and even the metaphorical modeling of metaphor itself. “Does it introduce the alien or familiar? Does its use emasculate or show strength of character?” asks Bartsch. “I think there is a different and more interesting story to be told about the relationship between metaphor, truth and philosophy in antiquity than the story we are currently told,” she said. American religious historian Catherine Brekus will use her Guggenheim fellowship to complete her book, Sarah Osborn’s World: Popular Christianity in Early America, which explores the rise of evangelicalism during the 18th century through the personal life story of Sarah Osborn. An evangelical woman who lived in Newport, R.I., in the 18th century, Osborn kept an extraordinary devotional diary, writing for more than 30 years and producing a total of 15,000 manuscript pages. More than 1,500 of these pages still survive. 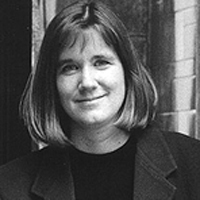 Brekus, an Associate Professor of the History of Christianity in the Divinity School, teaches courses on every period of American religious history from the founding of the colonies to the present, but she also has a particular interest in early America and the role of women in religious history. She is the author of the award-winning Strangers and Pilgrims: Female Preaching in America, 1740-1845, which explores the rise of Protestant female preaching during the 18th and early 19th centuries. In her forthcoming book, Brekus examines the relationship between the evangelical movement and the Enlightenment by focusing on the story of Osborn, a schoolteacher who gained a large following in Newport as a spiritual leader. Brekus, who already has written several chapters of Sarah Osborn’s World, plans to use her Guggenheim fellowship to complete some of her research on the book in Newport, R.I., and to finish the manuscript. Fred Donner, a scholar of early Islamic history, will use his Guggenheim fellowship to closely examine Arabic papyri from the first Islamic century (seventh century A.D.) to illuminate changes in Islamic political vocabulary. 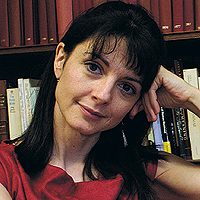 Donner has done extensive research on the role of pastoral groups in Near Eastern societies and in early Islamic history. He has authored two monographs on early Islamic history: The Early Islamic Conquests and Narratives of Islamic Origins: The Beginnings of Islamic Writing. Donner believes this changing conception will be reflected in the changing language of early Islamic community, which attempted to identify key institutions using Koranic terms. For example, at first the Arabic term “Amir al-Muminin,” which means “Commander of the Believers,” was used to refer to the head of state. Evidence of the usage exists in inscriptions and other documents from the 1st Islamic century; the term offers a kind of description of the nature of the office, but it is not found in the Koran. Toward the end of the first Islamic century, Donner said, this is more descriptive Arabic term for the head of state was replaced by the term “caliph,” or in Arabic, “khalifa,” which is a term found in the Koran. Donner wants to examine such early changes in the terminology of the early community, which have been obscured because most of the literary sources that provide information about Islam’s beginnings were written later, after the shift in terminology had taken hold. During the next year, Donner will be examining Arabic papyri, from the first Islamic century for evidence of this shift. Many of this papyri are held in major European museums. Donner is currently working on a general study of Islamic origins that will attempt to sketch the outlines of this epochal historical process. 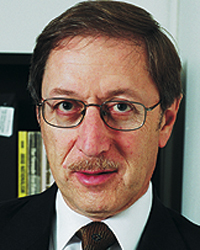 Bernard Wasserstein is a historian of modern Europe, of the Jews and of Israel. With Guggenheim support, he will be studying Jewish intellectuals in postwar Europe, using the research as preparation for a book, he said. Wasserstein studies the history of Jewish people in 20th-century Europe as well as the Arab-Israeli conflict, seeking to understand its origins, its nature and the possibilities for its resolution. Among his works are Britain and the Jews of Europe, 1939-1945; Vanishing Diaspora: The Jews in Europe Since 1945; Divided Jerusalem: The Struggle for the Holy City; The British in Palestine: The Mandatory Government and the Arab-Jewish Conflict; and The Secret Lives of Trebitsch Lincoln, for which he won the Golden Dagger Prize for nonfiction from the Crime Writers Association in the United Kingdom. His latest book, Barbarism and Civilization: A History of Europe in Our Time, will be published by Oxford University Press in September. Two decades in preparation, the book focuses on European history since 1914 and the evolution of values on the continent of Europe. Wasserstein argues that barbarism and civilization should not be seen as opposite sends of a spectrum, but as deeply enmeshed and implicated in each other. 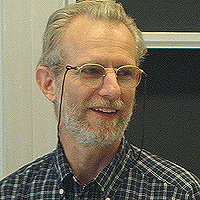 Before coming to Chicago in 2003, he was a professor of history at the University of Glasgow, Scotland.